Becky Graebe vividly remembers two things about an Advanced Learning Institute conference last September where she joined Danielle Guzman to deliver a presentation about mobilizing employees into authentic brand advocates. The room of 100 people was silent as Guzman described how Employee Advocacy helped make Mercer the talk of the 2018 World Economic Forum in Davos, Switzerland. What happened after they left the stage. Guzman held court for another 90 minutes before finally having to hurry to catch a flight. There’s a reason for that. Mercer had unleashed a juggernaut at the world’s best-known business conference. The “Davos Squad” harnessed the voices of about 300 Mercer employees to amplify the company’s message at the forum. Mercer generated a social share of voice that was four times greater than its eight closest competitors – combined. The brand finished No. 10 among all organizations in social media conversations behind only media outlets such as Bloomberg and CNBC. It was a wildly successful showing for a small, motivated team that crafted and executed an innovative strategy that was centered entirely on organic social media and employee engagement to spread the Mercer story. It’s also why Guzman was honored at the first-annual ECE Awards by Dynamic Signal with the Communicator of the Year honor. Mercer’s success stems from Guzman’s belief that there’s always a way to overcome obstacles. Guzman is an accidental expert in social media and Employee Advocacy. It definitely wasn’t her intended career path during her climb in the business world. In 2017, Guzman was given the opportunity to take over Mercer’s social media efforts. 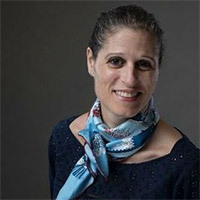 She immediately looked for a way to galvanize employees behind the channels in a way that would elevate their voices across the globe – benefiting both them and the brand. Her team found it: Davos. It was certainly a project that could benefit Mercer through greater exposure at the world-renown conference. But internally, it also would drive closer collaboration throughout the organization – from social media to PR to communications to strategic marketers to leadership. It really would “take a village.” And Guzman’s team believed the real prize would be rallying Mercer employees around a common cause, making everyone feel part of something bigger themselves, while also giving them a chance to better establish their personal brands. 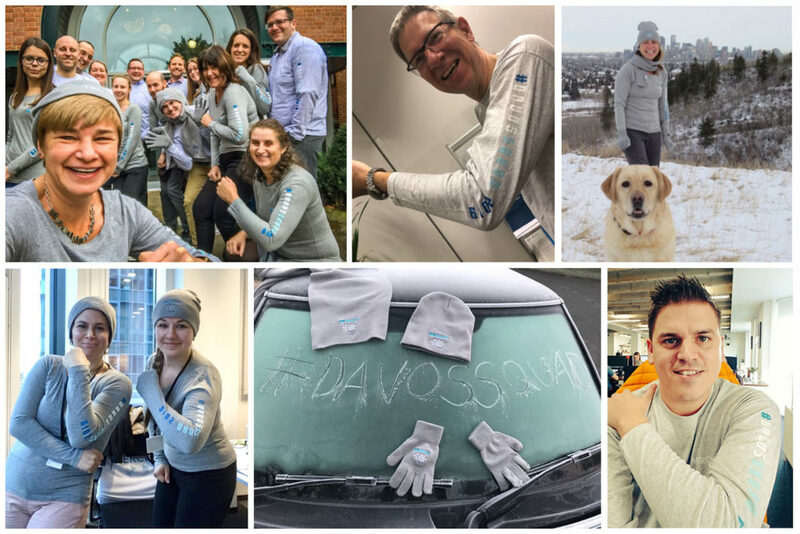 In just a few weeks, the team created the Davos Squad nickname, put the word out to employees using the Mercer Voices platform powered by Dynamic Signal, and then sent branded hats, gloves and scarves to those who wanted to participate. (The swag was the only expense to the program.) Oh, and there was a request: Put on your new gear, take a photo of yourself, and post it on social media. And did they ever. It was the start of something big. What happened in Davos didn’t stay in Davos. Employees sharing the company story gave Mercer a massive visibility lift – and a 3,000-percent increase in reach from 2017. The goal for this year’s conference is simply bigger and better. Guzman’s team will use the 2019 Davos event as a springboard for a year-round employee influencer program using the Dynamic Signal platform. It’s also why people are lining up to hear the story. Education: Bachelor’s degree in marketing and accounting from McMaster University, master’s degree in international business and marketing from BI Norwegian Business School, MBA from McMaster University. Interests: Volunteering with Habitat for Humanity, yoga, cooking, traveling. What do people underestimate about Employee Advocacy? What advice would you give for getting started? What role does Dynamic Signal play?